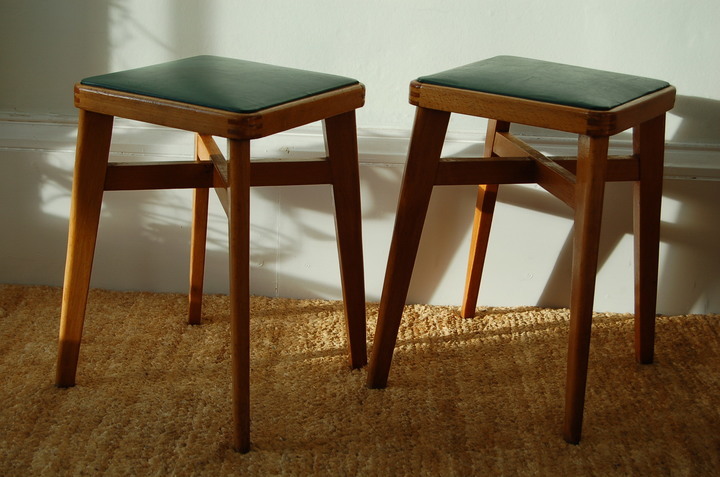 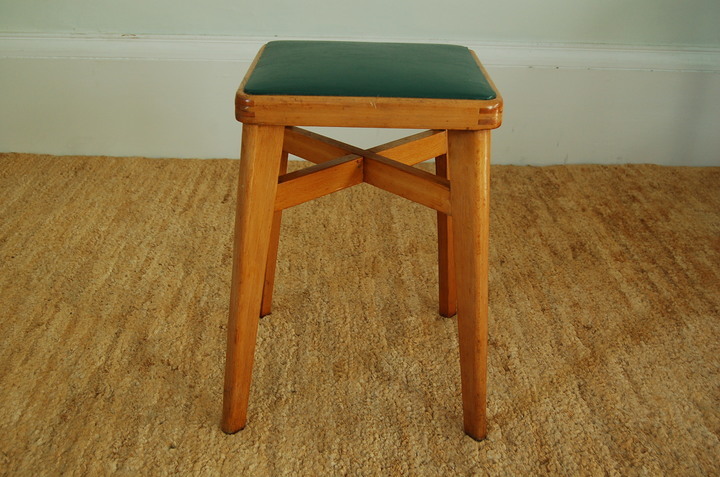 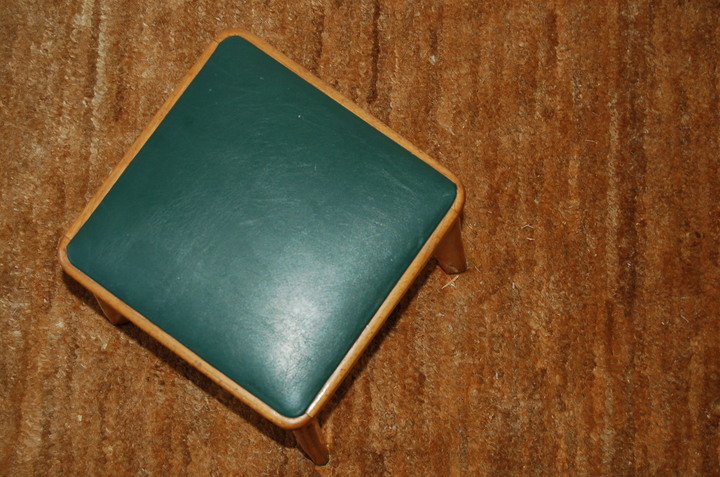 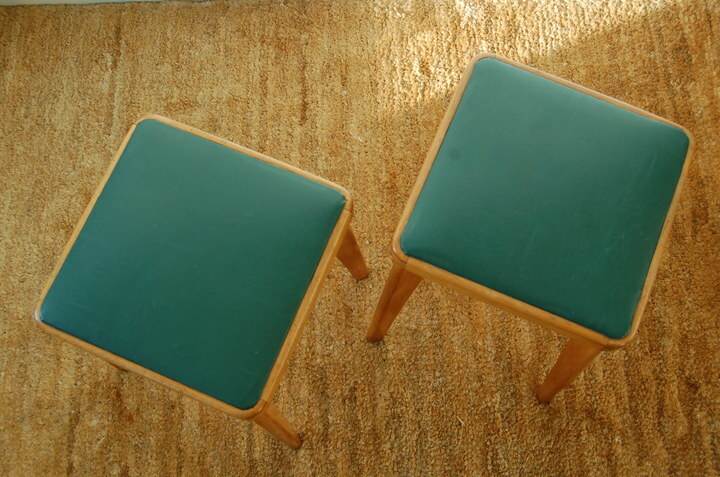 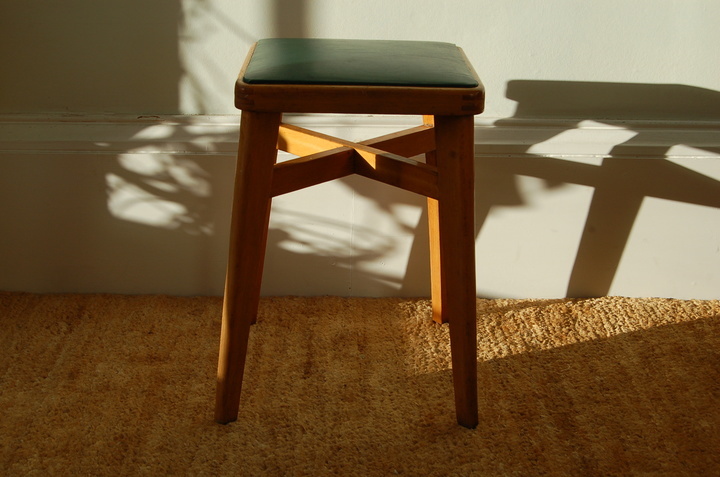 Two unusual stools by 'Ben chairs' with leg cross-bracing and good seat colour in green vinyl - makers label on underside of one of the seats. 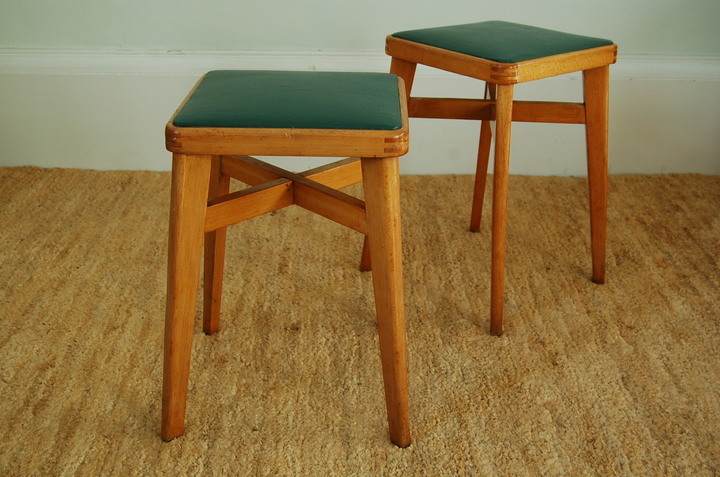 While some signs of wear, these stools would make a great original, utilitarian addition to any interior. 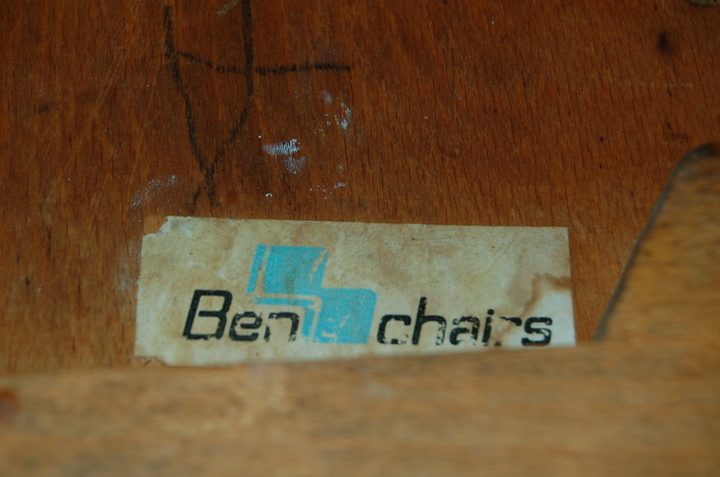 Ben chairs were made in Frome, Somerset from the early 60's onwards and are recognised the world over for their strong mid-century design, most commonly in stacking chairs with wooden frames.